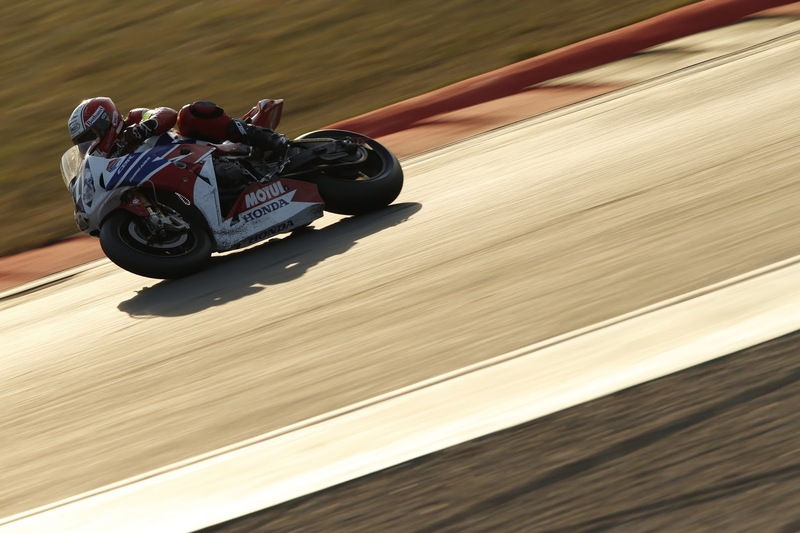 The Honda TT Legends today completed the 8 Hours of Oschersleben in Germany in ninth place overall and sixth in the Endurance World Championship class. The result sees the team pick up 16 points to rank 15th in the EWC standings. The race got off to a good start with Michael Rutter and Simon Andrews taking the first and second stints respectively and by the third stint with McGuinness on board, the team were up to sixth place from 11th on the grid. Unfortunately, a fuelling issue saw the team drop to 17th as McGuinness was forced to push the bike back to the pits. A determined battle ensued with the riders and crew pushing hard for the remaining four hours. Aided by consistent lap times and fast and efficient pit stops, the team re-claimed eight places to eventually finish the race in ninth overall and sixth in the EWC category. The race was won by the Suzuki Endurance Racing Team from BMW Team Thevent and YART. 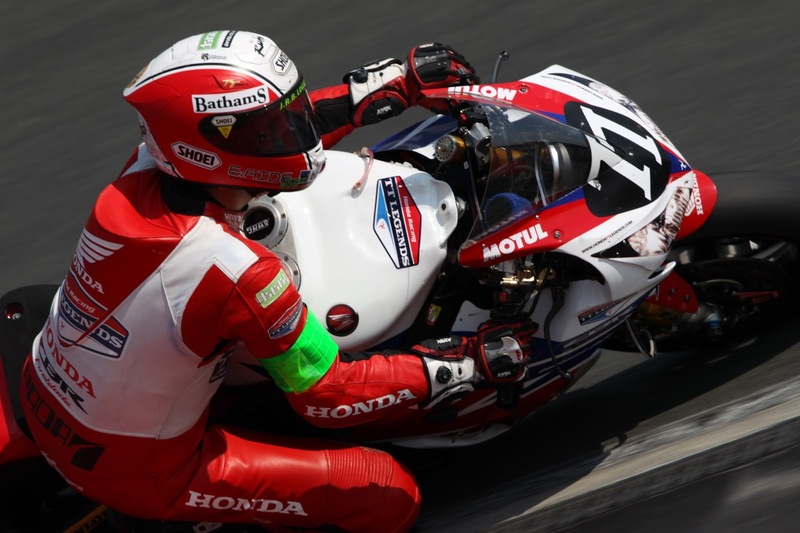 The next outing for the Honda TT Legends will be the final round of the 2013 Endurance World Championship – the Le Mans 24 Hour in France on 21/22 September. Although it was a pity we had the fuel problem that cost us a bit of time, we had no other issues whatsoever during the event as a whole and it was a much better race for the team than the Suzuka 8 Hours. Had everything gone to plan I think we had the potential to finish fourth or fifth. It would have been nice to finish a little higher up, but we finished and we scored some points so we’re pleased with that. You can’t help but be a bit disappointed for the whole team because everyone puts so much effort and hard work in so when you suffer a setback like we did today it’s frustrating. It would have been nice to have a trouble-free race this time and get the result I think we deserve, but a finish is a finish and we have to be happy that we pulled it back after the problem and scored some points to get on the championship ladder. I’m pleased with that as I did some decent times and tried to keep consistent all the way through. I’ve found this a difficult circuit to ride and it was tiring, but it’s been good. We had the fuel issue which is a shame, but we pulled together and brought it back to finish the race, so overall I’m happy. We started off really well and my first stint was good. I got up to seventh and did some fast and consistent times. After the fuel problem, we were able to manage the race to keep up to the lap times we needed and we got through the rest without any issues. It was good for me to finish the race and get my first EWC chequered flag too. Meanwhile at the Ulster Grand Prix in Northern Ireland, Honda TT Legends’ Michael Dunlop took second in the first Superbike outing after a race-long battle with Guy Martin. In the end, Martin clinched the win by just 0.039 seconds. Dunlop was forced to withdraw before the start of the second and final Superbike race due to a fuel problem. The FIM Endurance World Championship Eight Hours of Oschersleben was a straightforward race for the Suzuki Endurance Team (SERT) today. The #1 bike of the reigning champions took pole position yesterday and then led the race from the start to finish bar a handful of laps in the early stages. From the first stop there was no looking back and the trio of French riders extended their lead lap after lap, ending the race two laps ahead of their nearest rival. Honda TT Legends had made up several places from their 11th start position when a fuel issue then dropped them down the order at the mid-point of the race. Having dropped to 17th the squad recovered well and climbed back to ninth, sixth in class, by the end of the race. R2CL was a potential podium contender, holding third and fourth places until just before the halfway stage when a fuel filter problem halted their charge. Despite finishing only 20th the team showed their outstanding pace by setting the second best lap time of the race. Dunlop teams led the Superstock battle through the eight hours but three different contenders held the top spot. Penz3.com Franks Autowelt Racing Team were the ultimate victors, taking the lead with two and a half hours to go from Team Motors Events April Moto who themselves had led following Junior Team LMS Suzuki’s crash. The teams finishing second and third in the open class, Aprilia Grebenstein and KSB One Racing, also chose to race on Dunlop tyres.